Both fire and earthquake represents serious challenges to any city, and having the road network underground will not change this much. Earthquake is best protected against by making the buildings solid enough not to collapse. If the buildings do collapse it doesn’t really matter how the roads are laid out – they will be full of rubble anyway. Experiences from Japan also shows that modern high-rise buildings typically fares better than older residential constructions. 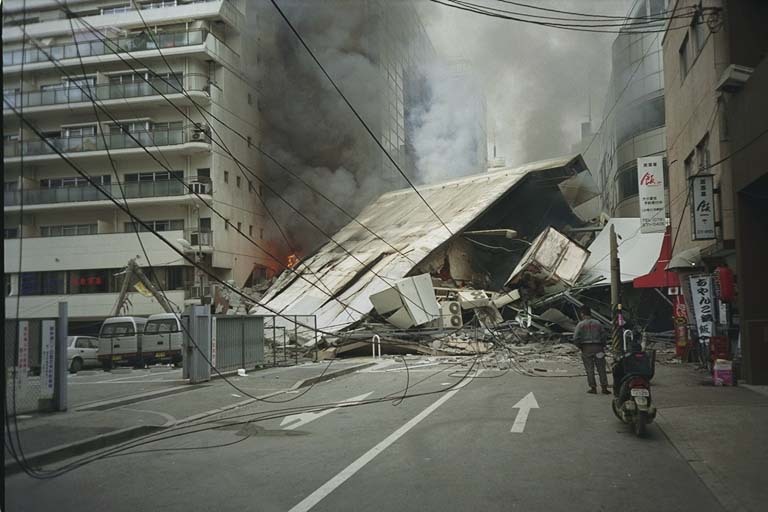 Earthquakes block roads regardless when buildings are badly built. Fire in high-rise buildings is also a concern best tackled with the building code. The pedestrian roads on top should also be built wide and strong enough to support emergency vehicles of all sorts. 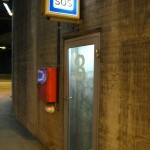 A fire in the underground road network will of course be a problem. 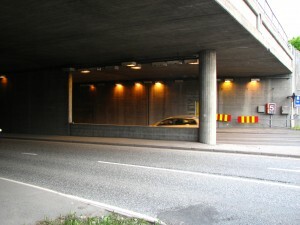 It can be tackled by ensuring frequent escape routes along the roads, both to the surface and into adjacent buildings. There should be a wall between the directions of traffic with escape doors, something which will also reduce head-on collisions. The ventilation system can be utilized to blow air out of the tunnel, and there should be frequent ventilation shafts to the surface. Carpets that can be dropped from the roofs to contain the fumes in one area can also be considered, along with sprinkler systems. Put all this together and fire or earthquake will not be a bigger problem than it already is in existing cities.